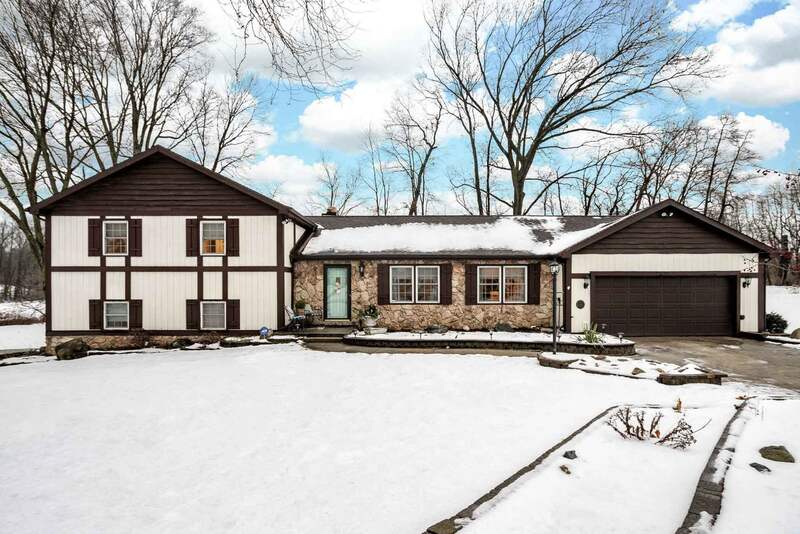 You won&apos;t believe this beautifully updated Knollwood home with great Granger location and incredible features! Spacious living room with crown moulding, vaulted family room with stone fireplace and beamed ceiling, and a multi-level sunroom overlooking the rear patio and fire pit give this home plenty of space for entertaining and relaxation. Completely updated island kitchen features gorgeous cherry cabinetry with granite countertops, tile backsplash, and appliance package that includes gas cooktop and double wall oven! All updated bathrooms including the en suite master with jetted garden tub. Full mother-in-law suite offers many possibilities and features new flooring, second fireplace, and updated full kitchen and bath! Main floor laundry, vinyl replacement windows throughout, newer 50 year roof and more make this a must see! So don&apos;t wait - schedule your showing today!